If you would like to build the same setup, I have listed the parts required at the bottom of this description. Also, the VESC is capable of using the electric scooter 'analog signal' and an input, so the arduino isn't required. 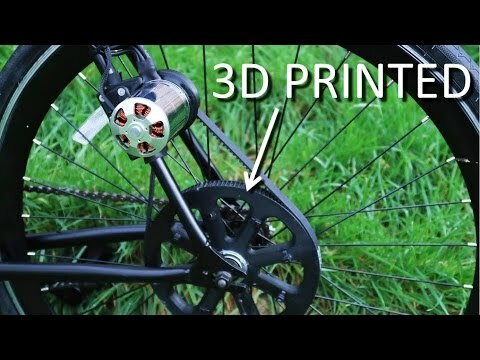 Note: The 3D printed brackets/pulley were designed specifically for the bike used in the video, it will not fit any other bike and I will not be modifying it on request to fit to other bikes. Disclaimer: I do not hold responsibility for any wrongful riding if you chose to build this ebike. It is beyond the legal limit (250w) for an electric bike, which is why I chose to ride it within the grounds of my university.